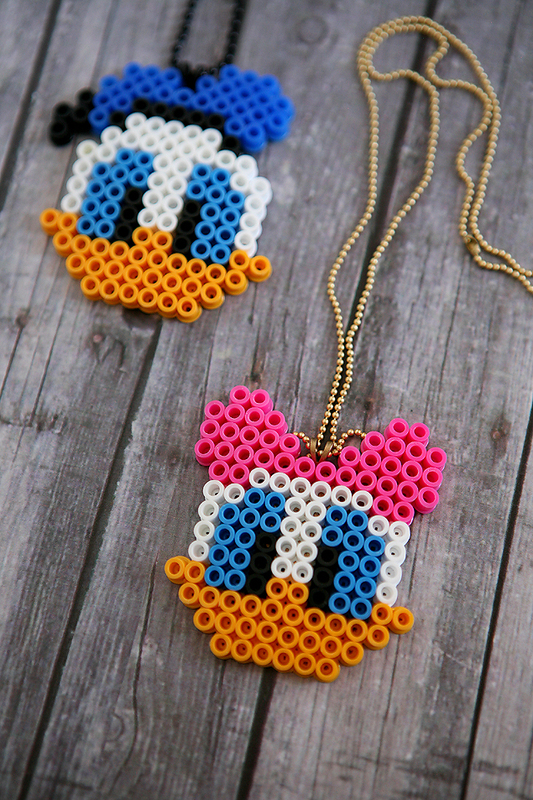 It just wouldn’t be right for us not to include a Perler Bead project in Disney Week! 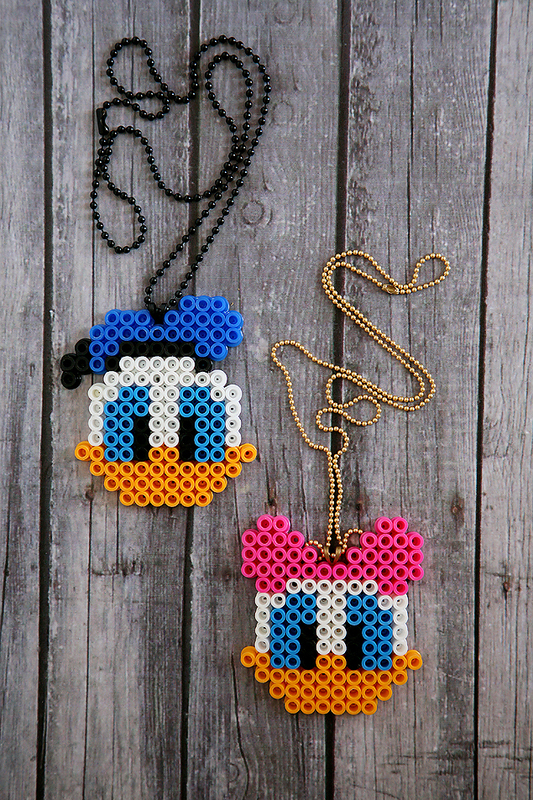 And check out who we decided to make….that’s right, good ol’ Donald and Daisy. Our kid’s are biting at the chance to wear these to Disneyland so, we may have to add some more characters to our collection. I’m in love with how they turned out and this is a really simple project! Even the preschooler got to make one! 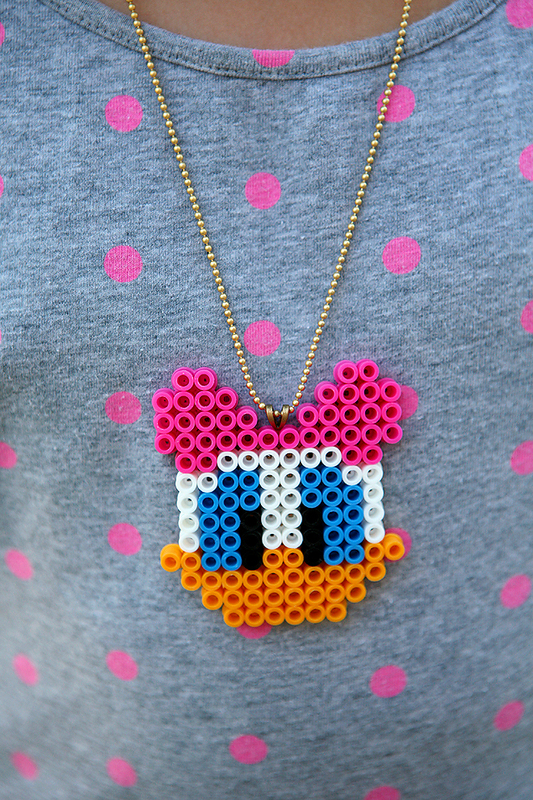 All you have to do is follow this simple pattern above using perler beads and a square pegboard. When you are finished, cover with parchment paper and iron. To make a necklace, we glued a Bail Plate to the back of our design with E6000 glue. Then we simply used a ball chain for the necklace. You can cut the ball chain with an old pair of scissors to whatever length works best for you. 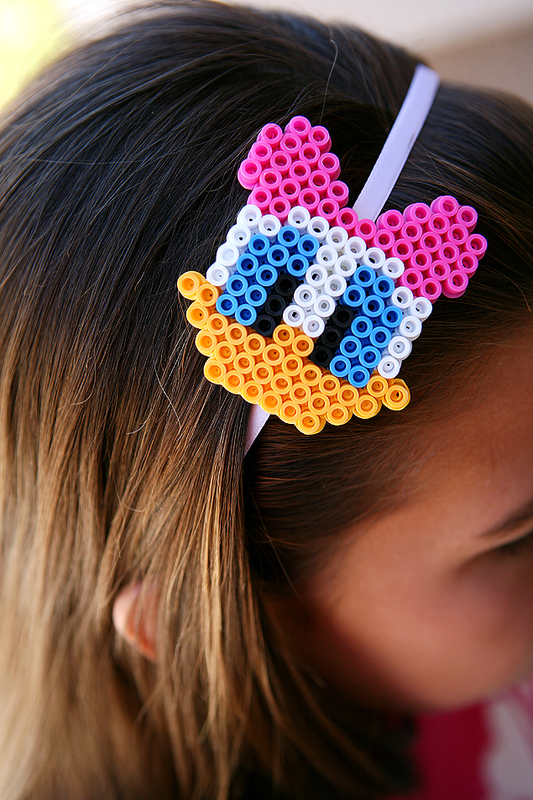 Of course if you’d rather… you can make a headband with your perler bead design. It’s one of our favorite things to do with them. Just grab a headband and hot glue your design right where you want it! You’ll have a one of a kind hair accessory.